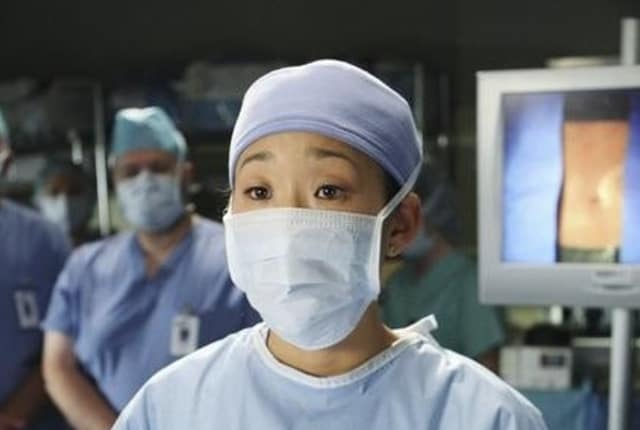 Watch Grey's Anatomy Season 5 Episode 18 online via TV Fanatic with over 7 options to watch the Grey's Anatomy S5E18 full episode. Affiliates with free and paid streaming include Amazon, iTunes, Vudu, Netflix, YouTube Purchase, Google Play, and Verizon On Demand. Miranda: I've lost Hunt and Torres, see I sent them to get Shepherd and ... never heard from them again ... I was trying to solve the Shepherd situation for you sir, but it appears that I somehow made it three times worse. Miranda: So I'm telling you and my next move I believe is that I'm gonna call the police because I'm half convinced that they're all dead ... on a spit ... with an one armed man turning them into shish kabob sir ... It's my mind it just goes there. Miranda: Do I look like a therapist?! Permalink: Do I look like a therapist?! You asked!